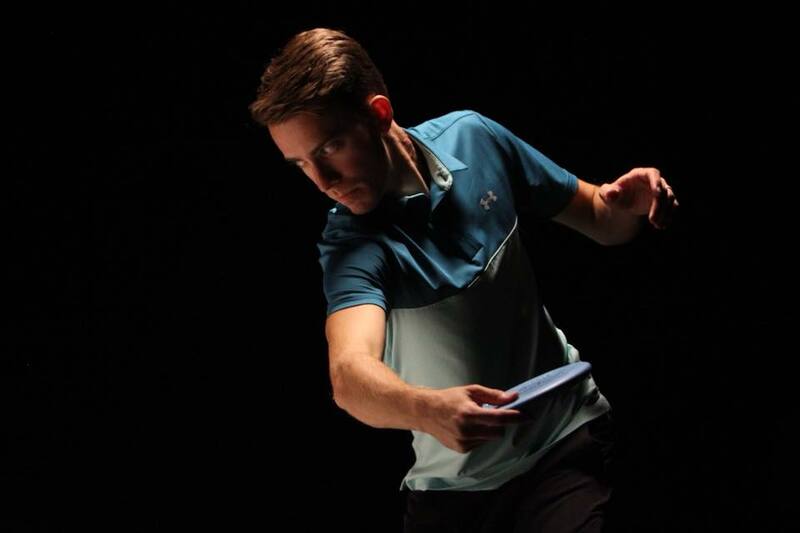 Disc golf disc retrievers are quickly becoming a must-have accessory and we’ve seen a few new options hit the market over the past few years. One disc retriever that we were recently given for the opportunity to test is the Disc Claw by Hive Disc Golf. The Disc Claw seemed to be less known than some of the other disc retrievers on the market but we’re quickly finding more people who have tried it and most of the conversations are positive. 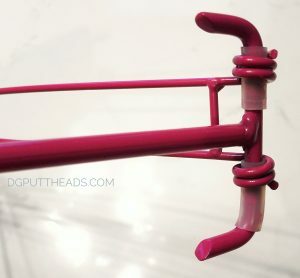 Here’s what we thought of the disc golf Disc Claw retriever. What Is A Disc Claw? 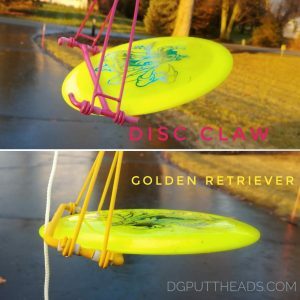 The Disc Claw is the most direct competitor to the Golden Retriever disc golf disc retriever but has a few significant differences. 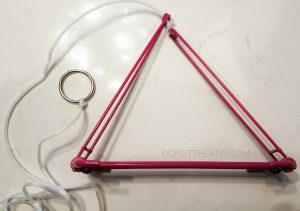 The Disc Claw is a metal disc retriever in the shape of a triangle which has two rods hooked into claw shapes on two of the corners and is attached to a long string on the third corner. It is designed to throw past an unreachable disc and catch the disc with the claws as you drag it back toward you. The Disc Claw can be folded into a flat rectangle approximately 6 inches by two inches when not in use and it weighs very little so it’s convenient to carry in your disc golf bag. Does The Disc Claw Work? In short, the Disc Claw works very well when used as designed. The claws do a good job grabbing a disc and holding the disc while you reel the string in. The Disc Claw design has a couple of distinct advantages over retrievers on poles. The first is that poles are often difficult to manage when extended and may not reach out far enough. However, the Disc Claw is just as easy to drag at 20 feet out as it is at 5 feet out. Retrievers on poles also have to have a direct line to a disc in order to hook or grab it, but the Disc Claw can be dragged along the bottom of the lake or pond and is good at grabbing. On one occasion, I tossed a Reko in the Grand River at Burchfield Park and it sunk below a deep ridge on the bank. I was unable to reach the disc with my pole, but a member of my group came to the rescue with a Disc Claw which was able to get below the ridge and grab my Reko during the drag. The primary disadvantage is that the dragging design will inevitably grab sticks and leaves from the bottom of a pond and it could potentially get snagged on larger logs if you try something stupid like dangling it in a brush pile. At that point your disc is probably lost anyway. I would not recommend using the Disc Claw to retrieve a disc from a tree. 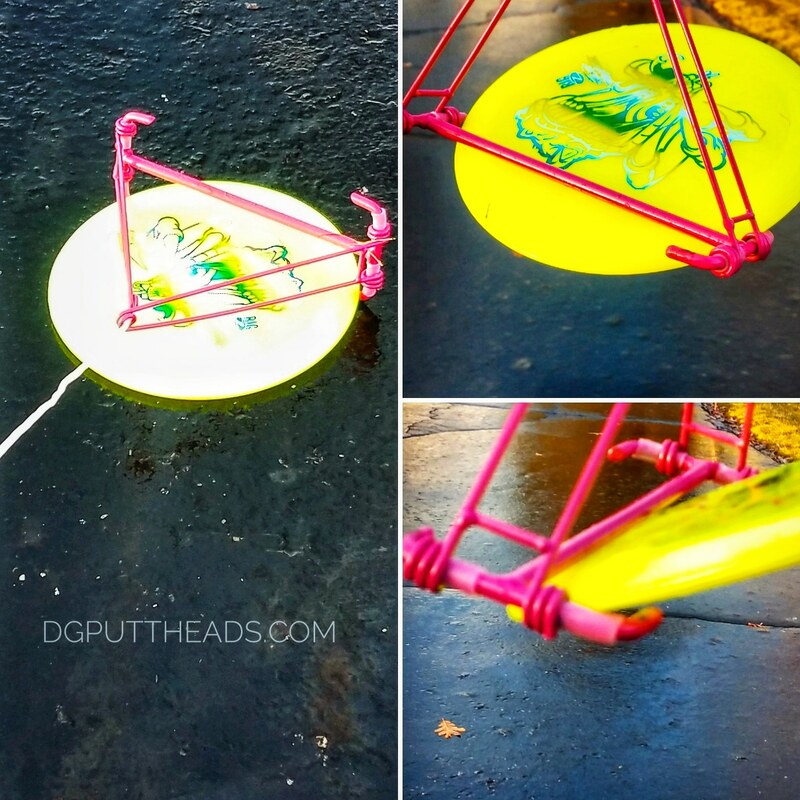 The Golden Retriever is another triangle shaped dragging designed disc golf disc retriever. The primary difference between the Disc Claw and the Golden Retriver is that the Disc Claw has claws on the top and the bottom to grab a disc whereas the Golden Retriever uses two solid rods that must be dragged over the disc. All of my trials found the Disc Claw to be superior to the Golden Retriever. Feel free to argue, but that was my honest experience. In every situation the Disc Claw caught my disc at a higher rate and held the disc more securely than the Golden Retriever. The Disc Claw is able to catch discs when dragged slightly from the side as well due to the claw design but the Golden Retriever needed to be dragged much more closely to the center of the disc. The Golden Retriever also holds discs at a much flatter angle which allows the discs to slide out more often. Even on hard flat ground like pavement and grass, the Disc Claw catches a disc whereas the Golden Retriever really needs a soft bottom to sink a little below the disc to catch it. Beyond functionality, there are a few other details that I will mention, but I don’t feel as though they are terribly significant. First is that the Disc Claw runs about $20 and the Golden Retriever runs about $25. Personally, $5 is not enough to sway me either way in this case. The Disc Claw is also available in multiple colors whereas the Golden Retriever is only available in yellow at this time. Again, this really doesn’t matter to me because all I really care about is getting my disc back, but I could see some people caring more about color. The Golden Retriever comes with two strings, one longer and one shorter. These strings are a soft nylon and feel strong. The Disc Claw comes with one single long string which is stiffer nylon and also feels strong, but maybe slightly lower quality that could wear over time. Disc Claw also comes with a metal ring on one end to give you a better grip. The ring is a nice addition, and an extra string would be as well, however any of these could be purchased on the side for a dollar separately. Unwinding the string from the Disc Claw was a little slower as it would sometimes catch in the claws. These details seem to balance out overall and ultimately I feel that none of these should be considered over functionality. 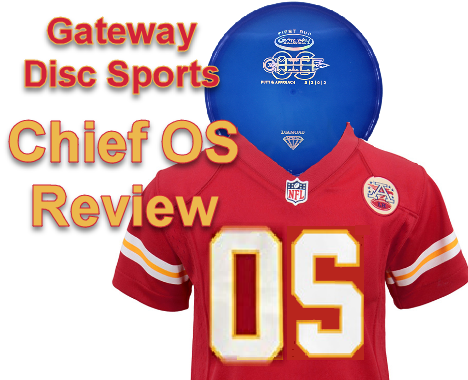 At $20 we recommend carrying a Disc Claw if you throw near water. It’s easy to carry even along with other types of disc retrievers and we believe it works better than the Golden Retriever. 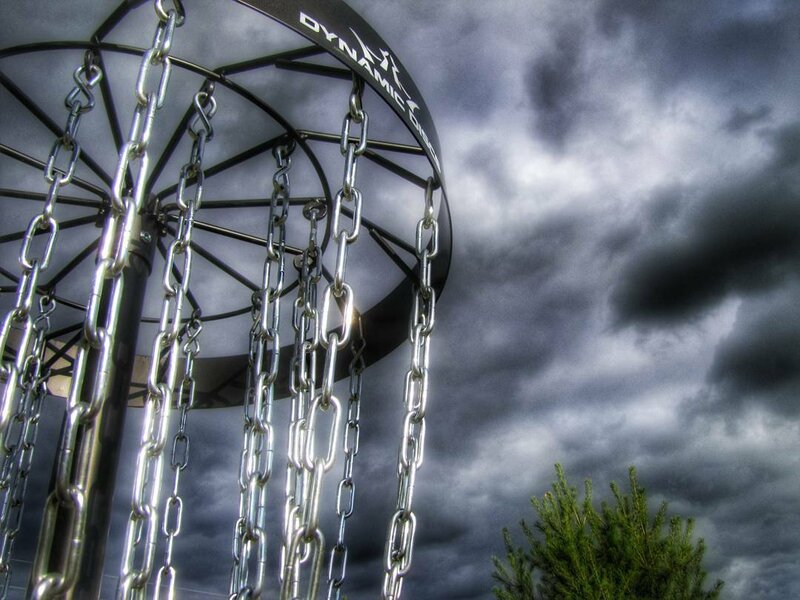 If you’re tired of wading out waste deep into the water for your discs then you may be ready to try a Disc Claw for yourself, check your options here! 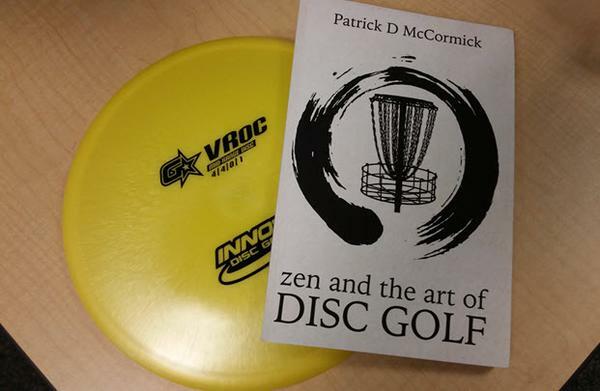 Dave Tucker from Big Daddy Disc Golf also provides a good review here!